An ATV tour of Carara National Park lets you explore off-the-beaten-path of this Costa Rican gem. 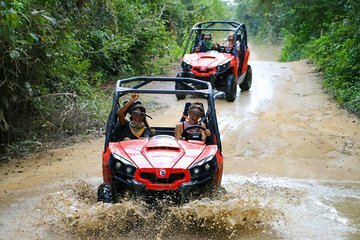 After a safety and instructional briefing, take your ATV on a guided tour along rugged jungle trails, past teak plantations, and over 14 river crossings, stopping to admire views and beaches along the way. Then, head down the Tarcoles River on a boat tour for a chance to spot crocodiles, monkeys, and more.